The latest issue of my zine was published in August 2014. 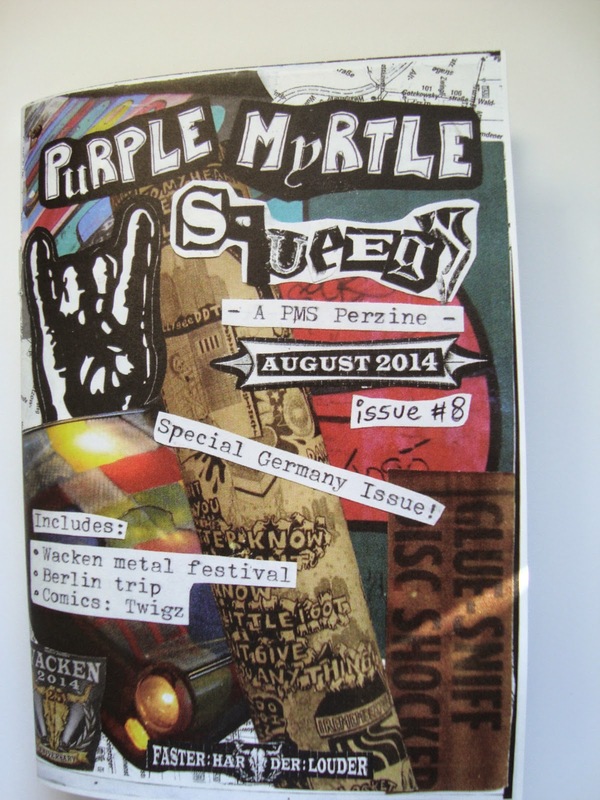 This issue covers the Germany trip I took from July 29 to August 7, 2014. I write about the Wacken Open Air metal festival I went to, I recount the various shows I saw, what I liked and didn't like, what shows can be described as nothing less than "orgasmic" and which ones as nothing more than "craptastic". I also write about the visit I paid to Berlin, all the attractions I went to, the bars I attended, and the German friend I met up with. 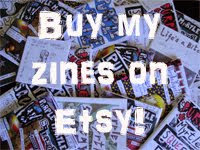 On issue 4 of PMS I started a regular segment in the zine - a comics I call Twigz. In issue 8, Twigz demonstrates the different forms of headbanging that metalheads use in live shows. What is mostly special about this issue is that it includes a bunch of pictures from the trip and it is printed in full color! A6 size, 50 pages, full color, glorious badass wholsomeness! It is now up for sale on my Etsy site, and up for trade right here!